What happened in the large state of Virginia with respect to ratification? Actually, New Hampshire became the required ninth state on June 21, 1788, voting 57 to 46 in favor of the Constitution. Although the Constitution was technically in effect after New Hampshire ratified it, Virginia was such a large and powerful state that it was crucial for it to ratify the Constitution. The large state of Virginia did not know that New Hampshire had become the necessary ninth state, so the debate continued there. In June, Governor Edmund Randolph stood up and spoke in favor of the Constitution even though he had failed to sign it last September. Randolph explained that he did not sign because the document did not contain necessary amendments. However, he said that because other states had proposed amendments to be passed after ratification, he would vote in favor of ratification. He also pointed out that eight other states had already ratified. Patrick Henry charged that Randolph had been persuaded to change positions by none other than George Washington. Though this charge cannot be proven beyond a shadow of a doubt, Washington did later name Randolph his first attorney general. Many Anti-Federalists became supporters of the new government. For example, Anti-Federalist Elbridge Gerry, who refused to sign the Constitution, later became James Madison’s vice president. 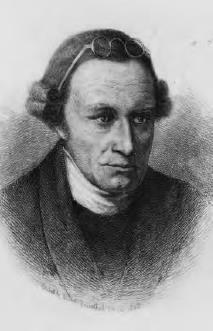 One of the most prominent figures of the American Revolution and the country’s early history, Patrick Henry was an Anti-Federalist who opposed a U.S. Constitution that he feared would give government too much power over individuals (Library of Congress).